On a regular basis, I will remote into at least 3 to 4 different lab environments where desktops are serviced through different Horizon View brokers. Being within VMware R&D, I get to work on a variety of projects and that means I need to jump in and out of an environment for development, troubleshooting, reproduction, etc. I recently upgraded my View Client 1.3 (before the name change) to the latest Horizon View Client which is now 2.1 and to my surprise I found that I could no longer simultaneously connect to multiple desktops from different View brokers. I have been using this feature for quite some time and I was just surprised to see it gone. For those of you who have not used this before, you used to be able to create "New Connection" while being connected to a desktop as seen in the screenshot below. In the latest Horizon View Client, this option is now grayed out. 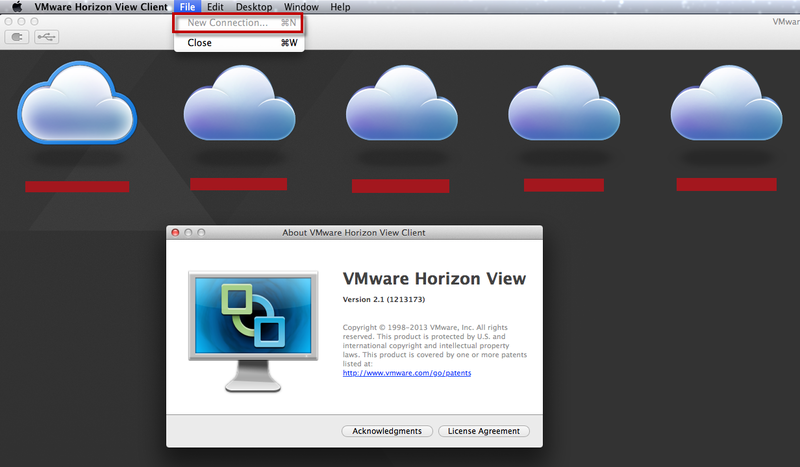 One new feature that was added in the latest version of the Horizon View Client is the ability to connect to multiple desktops from the same View broker which can come handy. However, for my particular use case this is a set back and disconnecting/reconnecting is just not ideal, especially when I know I need to context switch between two desktops. I have been told this feature was removed in the 1.4 release of View Client due to some performance issues found in Mac OS X RDP sessions. I hope this will eventually be fixed as it was a really nice feature to have. For now, you will need to use the work around if you need to connect to multiple View brokers. For myself personally, I have decided to downgrade back to version 1.3 release, unfortunately this build is no longer available for public download. How to deploy VCSA 6.0 using the HTML UI Installer on Mac OS X? 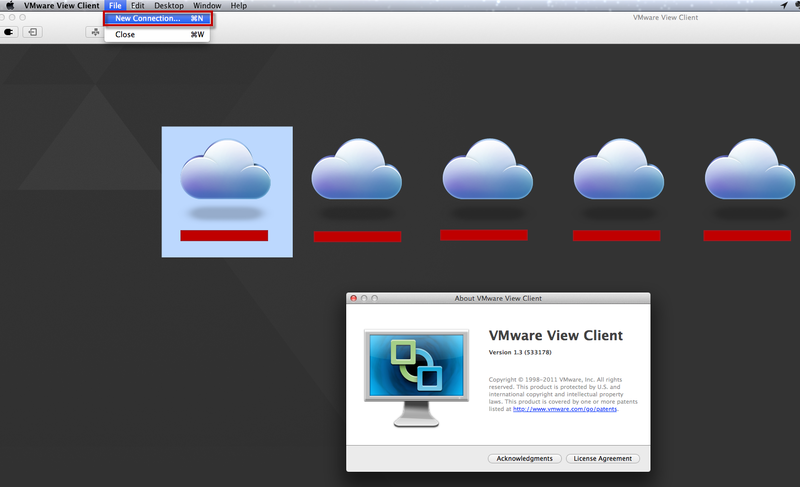 Simply copy and paste the View Client in the applications folder. Then run each instance as a separate connection.